Providing an inclusive dining experience for all diners. 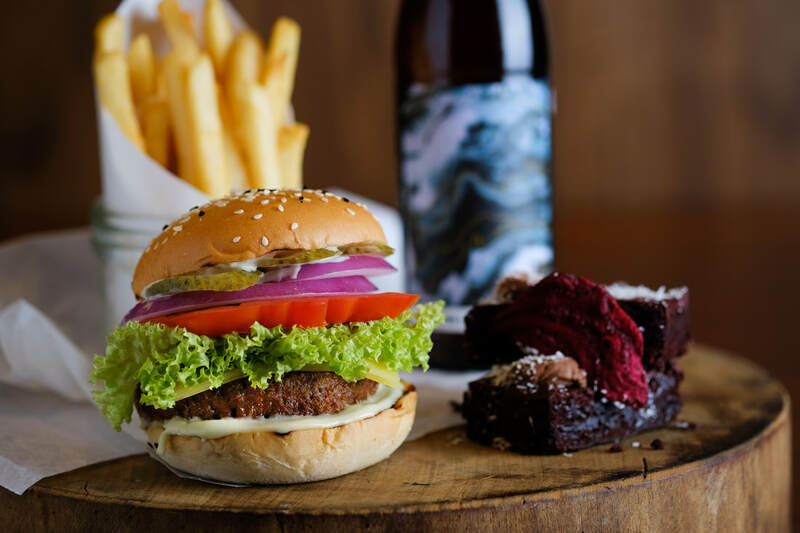 With its philosophy of food thoughtfully sourced and carefully served, mezza9 continues to enrich communities and protect the planet for future generations by being the first establishment in South East Asia to serve Beyond Burger®.Already an icon in the US since its launch in 2016, Beyond Burger® is a 100% plant-based gluten-free and soy-free burger patty made by Beyond Meat to look, cook and achieve the flavour characteristics of a conventional beef patty without harming the environment. Available at mezza9 during lunch and dinner as a Classic Cheese Burger with a dairy-free brioche bun, dairy-free cheddar, plant-based mayonnaise, pickles, lettuce, red onion and mustard. Made by the same company that introduced the vastly popular Beyond Burger®, Beyond Sausage® is a 100% plant-based non-GMO gluten-free and soy-free sausage that looks, sizzles and satisfies just like traditional sausage. 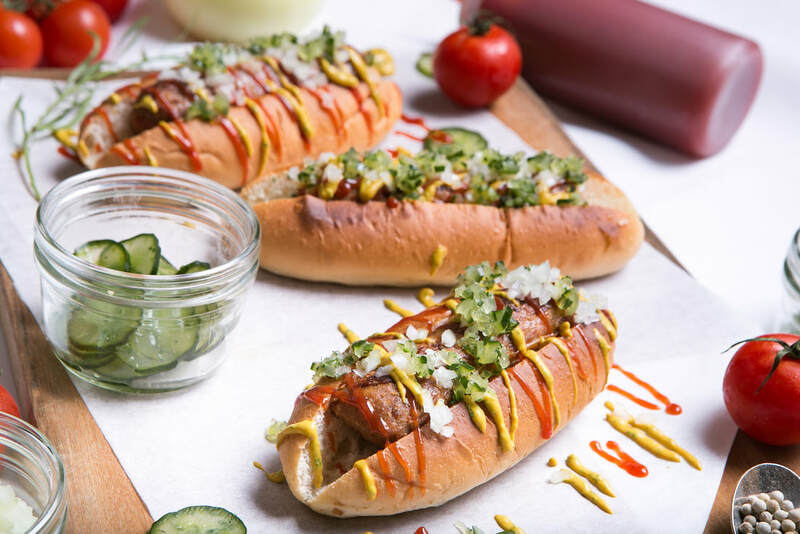 ​Beyond Sausage hot dogs are grilled and wrapped in a house-made vegan bun and dressed with dill pickled Japanese cucumbers, tarragon mustard, onion and ketchup for an authentic but healthier hotdog experience. ​Made from mung beans, the cholesterol-free and antibiotic-free JUST Egg has been created by San Francisco-based food innovator JUST Inc. to scramble and taste just like eggs, allowing chefs the freedom to create anything from French toast to omelettes just as they have with conventional eggs.